Our relationships with leading premium sports and entertainment brands give us exclusive access to content that sports fans care about. In the UFC, SHOWTIME Championship Boxing, and WWE, we represent the industry leaders in MMA, boxing, and professional wrestling. Joe Hand Sr. began his professional career as a Philadelphia Police Detective, but always had an eye and passion for sports, particularly boxing. In 1967, Mr. Hand became a charter member of Cloverlay Corporation, the organization that helped guide Joe Frazier to the heavyweight championship. Mr. Hand became intrigued by the prospect of forming his own company specializing in sports promotions, and did so with his family in 1971, launching Joe Hand Promotions from a row home in Northeast Philadelphia. As an original member of Cloverlay Corp. in 1964, Joe Hand, Sr. guided Joe Frazier to the heavyweight championship. 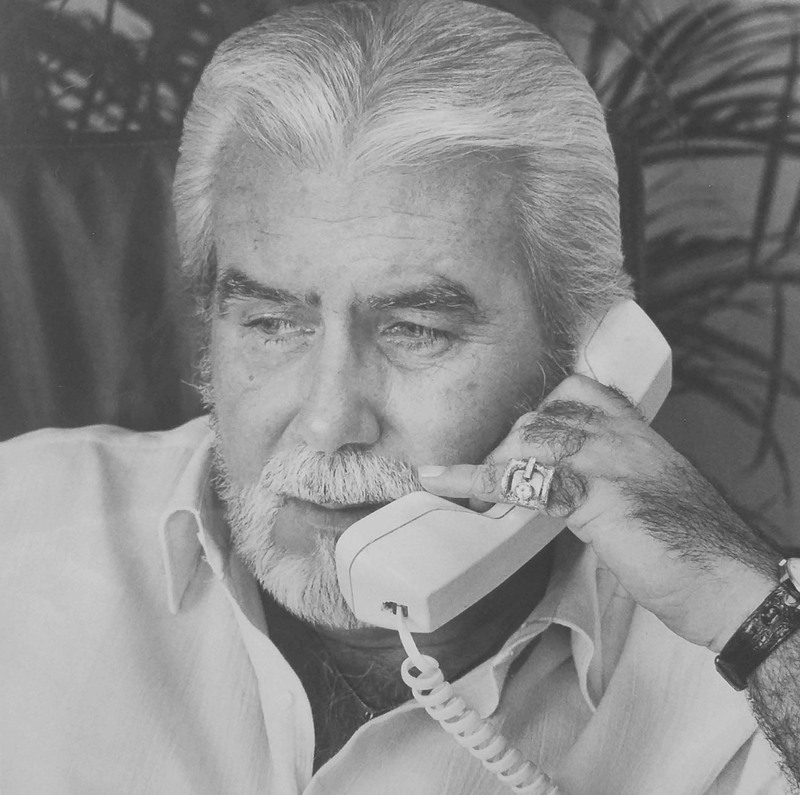 A few years later, he formed Joe Hand Promotions and became the nation’s leading TV distributor of closed-circuit and pay-per-view sporting events. More recently, he established the Joe Hand Boxing Gym and Computer Lab, a city landmark that serves as a learning center and safe haven for his community. Joe takes great pleasure in seeing children enter the gym with a gym bag on one shoulder and a school bag on the other. As President of Joe Hand Promotions, Inc. since 1987, Joe has guided his family business to become the largest independent TV distributor of closed-circuit and pay-per view programming in the world. Over the years, Joe has worked with industry leaders such as DirecTV, Dish Network, Comcast, Home Box Office (HBO), Showtime, Ultimate Fighting Championship (UFC), Top Rank, Inc., Golden Boy Promotions, Kingvision, Main Events and other notable media companies and promoters. Margaret’s involvement in the family business began in 1971 helping out in their home office by stuffing envelopes and licking stamps. Upon graduating from King’s College in 1983, Margaret joined forces with her father and brother with a full-time position. Today, Margaret manages the daily endeavors of Joe Hand Promotions in the corporate offices in Feasterville, PA.
Patricia started Joe Hand Promotions with her brother, Joe, Sr., in 1971. She went on to manage a law firm for more than 30 years until her return to the family business. She assists in the day-to-day operations of the JHP headquarters. John joined us in 2017 and is responsible for developing and overseeing the implementation of the company’s strategic growth plan, which includes expansion of our distribution network as well as identification and engagement of new content and programming. John has more than 30 years of experience in a diverse set of industry categories and distribution channels, working as a consultant, entrepreneur, and corporate executive. Joey has been with Joe Hand Promotions since 1992. He began as a member of the sales team, and later served as Director of Sales & Marketing for several years. In 2017, Joey became the company’s Director of Operations. In this capacity, Joey is responsible for all systems and business processes related to the customer experience as well as all internal JHP teams. Lori began working at Joe Hand Promotions in 2009 as a member of the accounting department. She became an Accounting Manager in 2012 and is responsible for the day to day operations of the accounting department. Her experience spans over 30 years in accounting work from small businesses to large corporate enterprises. Lori has a Speech Therapy degree from Auburn University. Pat joined the JHP team in 2005, first serving as Accountant then as Controller, before assuming her current position as Finance Manager. She has a Bachelor of Science degree in Accounting from the University of Scranton. With 30 years of previous accounting experience, Pat is responsible for financial reports, investments and banking, as well as budgets, and financial forecasts. Brittany joined Joe Hand Promotions in 2014 as a member of the Marketing team before becoming JHP’s Boxing Product Manager in 2018. In 2011, Brittany became the youngest licensed boxing promoter and matchmaker in the nation at age 22. She is a boxing junkie through-and-through, having worked live boxing events with various promoters across the nation and on a number of different television networks. She has been an integral part in promoting over 75 successful events focused in the Pennsylvania and New Jersey area. She is a graduate of Temple University with a degree in Sports Management. As the third generation of the Hand family to enter the business, Elizabeth joined the team while in college working in both the accounting and sales departments. Once graduated, she immediately joined the team full time as Marketing Coordinator. In 2018, she became the Digital & Social Media Marketing Manager as well as Product Manager for WWE. She is also heavily involved in supporting the organization’s charitable enterprises including the Joe Hand Boxing Gym and the Eastern Pennsylvania Golden Gloves. Elizabeth attended Rider University and was the first woman to graduate with a Sports Management degree. Jason has been a part of the Joe Hand Promotions family since 1993. He began as a sales assistant, and after several promotions, currently serves as a National Account Manager. Jason is responsible for maintaining, strengthening and expanding clients’ relationships and manages the Buffalo Wild Wings relationship, the company’s largest national chain client. Jim is a National Account Manager for Joe Hand Promotions. With over 20 years of commercial sales experience, Jim has been able to use his extensive knowledge of the industry, problem solving and communications skills to help thousands of clients attain and exceed their goals. Jim has developed and currently maintains strategic relationships with some of the biggest sports bar chains and casino groups around the country, and has created and supervised national campaigns for military bases and college campuses. Tom leads the Northeast Region team as the Regional Director. He joined Joe Hand Promotions in 2010 to utilize his skills and knowledge in the OTT streaming space. Since the completion of the streaming project, he has leveraged his enterprising, consultative problem-solving skills to help thousands of locations, such as international franchise brands, multi-unit casinos, independent theaters and bars to pack their house with exclusive sports and entertainment programing. Tom graduated from the Fox School of Business at Temple University. Mike started at Joe Hand Promotions in 2014 and is an expert in showing clients how to fill their seats on a regular basis by providing sporting events. As the Account Director for the South Region, he has been a key contributor in helping bar owners reach the passionate combat sports fans that reside in the markets. Prior to Joe Hand Promotions, Mike started his professional career as a golf instructor and a golf tour player. He also has experience in the mortgage sector of the banking industry. Kyle joined the Joe Hand Promotions team in 2018 as an Account Director on the Northeast Region team. He is responsible for driving new business and fostering key relationships with our loyal partners. He began his career at an award-winning, creative lifestyle agency in New York City and brings over ten years of experience in the service and hospitality industry. Prior to joining the Joe Hand Promotions family, Kyle held positions at Google, SGWS and a Los Angeles-based start-up company, ChowNow. Patrick joined Joe Hand Promotions in 2018 as the West Region team’s Account Executive. He is responsible for servicing existing clients, onboarding new clients, and assisting all clients in their marketing efforts for fight nights. Patrick had previously worked as a Sales Associate for Harris Blitzer Sports and Entertainment in support of their various sports properties which included the Philadelphia 76ers, New Jersey Devils, Delaware Blue Coats, and the Never Forget Tribute Classic college basketball tournament. Patrick graduated from Temple University with a B.S. in Sports & Recreation Management. Shannon joined Joe Hand Promotions in 2018 as the Sales Coordinator for the South Region team. She is responsible for supporting clients along with her team members through all post-sale processing, onboarding, and servicing clients. Prior to joining Joe Hand Promotions, she started her career in the Sport and Recreation industry as an Operations Manager for one of Fitness International’s highest volume clubs. Shannon earned her B.S. in Sport and Recreation Management from the school of Sport Tourism and Hospitality Management at Temple University. Peter joined Joe Hand Promotions in 2018 as the West Region team’s Account Executive. Within his region he is in charge of independent locations and small chains. He is responsible for servicing existing clients, onboarding new clients, and assisting all clients in their marketing efforts for fight nights. Peter had previously worked as a Financial Retirement Specialist for Bank of America. He has worked with multiple Fortune 500 companies with their retirement benefits packages. Peter graduated from Rider University with a dual major in Sports Management & Marketing. Ryan joined Joe Hand Promotions in 2018 as the West Region team’s Account Executive. He is responsible for servicing existing clients, onboarding new clients, and assisting all clients in their marketing efforts for fight nights. Ryan had previously worked as an Account Executive for Konica Minolta Business Solutions. Ryan graduated from Syracuse University with a B.S. in Sport Management. Don joined Joe Hand Promotions in 2018 as a member of the Northeast Region team. As an Account Executive, his primary responsibilities include correspondence with current clients, onboarding of new clients, and providing them all with marketing and promotional support and advice. His previous work experiences are deeply rooted in advisory and sales fields, from managing some of the highest volume GNC stores in the country to door-to-door sales. Don also spent several years as an assistant karate instructor. He graduated from Rider University in 2017 with a B.S. in political science. Mike has been a part of the Joe Hand Promotions family since 2008. As Operations Manager, Mike oversees all systems and business processes related to the customer experience as well as all internal JHP teams. Prior to joining Joe Hand Promotions, Mike spent ten years in the communications industry. He worked for CBS Radio in Philadelphia as a producer for the Philadelphia Eagles radio broadcasts as well as a producer for the music side of the radio station. Vince has been working at Joe Hand Promotions since 2012. He began as a summer intern in the shipping department during his college years and has since become the Operations Coordinator. In this position, Vince works directly with cable companies and with the company’s other departments to implement additional efficiencies into the sales and service processes. Kelly joined Joe Hand Promotions in 2017 as an Administrative Assistant to Joe Hand Jr. and Joe Hand Sr. She has 18 years of experience in office administration throughout various industries. Currently, Kelly handles day-to-day office management and provides support for the operations, sales, and marketing teams. Joe joined Joe Hand Promotions in 2016 as an Accounts Payable Supervisor. His previous work experience includes assignments as a Staff Accountant, Assistant Controller and Controller for a government agency. Joe earned a Bachelor of Science degree in Accounting in 1985 from Indiana Institute of Technology. Cherry began at Joe Hand Promotions in 2013 as a member of the accounting department. Cherry is responsible for event reconciliations, bank reconciliations, credit card expense and reconciliations and intercompany reconciliations. in 2018, Cherry also took on the role of Trade Show Coordinator where she is responsible for the planning and management of the several trade shows our team attends throughout the year. Cherry came to JHP with 30 years of experience in corporate accounting. Sue began working at Joe Hand Promotions in 2009 as an Accounting temp. In 2013, Sue became a permanent employee as an Accounting Clerk. She is responsible for recordkeeping and all clerical support for the department. Dorothy joined Joe Hand Promotions in 2019 as an Executive Assistant to provide administrative support to the JHP team. Dorothy’s previous experience includes 17 years as a Legal Administrative Assistant and additional experience as an Office Manager for a bank consulting firm. Nancy joined Joe Hand Promotions in 2007 as a part of the Accounting Support staff. She is currently an assistant supporting both the operations and sales team members. Prior to joining Joe Hand Promotions, Nancy held various positions in the insurance industry.